Of all the various segments of the commercial space industry, satellites—and especially Earth-observing smallsats—have received a huge amount of VC attention since the dawn of the Entrepreneurial Space Age in 2009. In our Q4 2017 Investment Report, we identified Earth-observing (EO) satellites as the major market driver within the satellite subsegment. There are several pretty obvious reasons for all of the investor interest. Firstly, the hardware itself represents a fairly accessible entrée into space technology. The costs to design and build a small satellite are more manageable than, say, an orbital rocket, especially if said satellite is built upon the cubesat form factor. Secondly, it has become easier than ever before for commercial ventures, and especially startups, to launch private satellites into orbit. Thanks to decreasing launch costs, novel cubesat deployment systems, and an increasing number of dedicated smallsat launch vehicles entering the marketplace, the barriers to entry have been lowered dramatically. Earth observation and remote sensing have long been considered the “next big thing” with regards to satellite data. For several years, space industry insiders have predicted that EO data is sure to become as ubiquitous and as essential to business operations as geographic information systems (GIS) data and GPS. Until recently, a vital component of the satellite data value chain has been notably absent. Luckily, a Canadian startup is developing a solution to provide end-user application developers with simple, convenient access to disparate satellite datasets—which will, in turn, deliver data-driven EO insights to a wide array of previously underserved industries. The satellite data value chain has begun to specialize as the entrepreneurial space industry matures. We’ve put together the above diagram in order to visualize the satellite data value chain, and launch services represent the chain’s first link. There are now multiple ways for entrepreneurs to get their satellites into orbit, with more coming online this year, marking the first step towards bringing these services to market. Firstly, we have secondary payload launches: These services have been around for a while, and despite a downward trend in launch costs there remain notable downsides to smallsats “hitching a ride” on a larger rocket. Another option is deployment from the International Space Station: NanoRacks, a Space Angels portfolio company, has installed a unique commercial cubesat deployment system aboard the ISS. Crew members are able to manually launch cubesats directly from the Space Station into low-Earth orbit. The caveat? Satellites can only be placed at the low orbit of the ISS, which is not always an ideal location. A third option is the use of dedicated smallsat launch services, like those offered by Vector Launch, another Space Angels portfolio company, or NZ-based Rocket Lab. These diminutive rockets will offer precise, customized satellite deployment options and a rapid launch cadence. On its second test flight, Rocket Lab’s Electron vehicle successfully launched a customer payload to orbit on January 19th, 2018. Vector will begin orbital launches in July of this year. Next up: the satellites. The orbiting sensors themselves are, obviously, a critical component of the satellite data value chain. There are currently more privately-owned spacecraft orbiting the Earth than ever before—each with unique capabilities and hardware configurations. Take, for example, Space Angels-funded Planet. Planet operates the world’s largest commercial satellite fleet, comprising nearly 200 “Dove” cubesats, 13 high-resolution SkySat sensors, and five RapidEye satellites—all told, Planet’s fleet is more than ten times larger than any other Earth imaging constellation. This hardware enables Planet to image the entirety of the Earth’s surface on a daily basis, and take high-resolution pictures of any terrestrial location twice per day. However, the satellites’ traditional “red-green-blue” (RGB) imaging sensors mean that during periods of heavy cloud cover, or at night, images may be unreadable. A complementary technology to RGB sensors is Synthetic Aperture Radar (SAR). 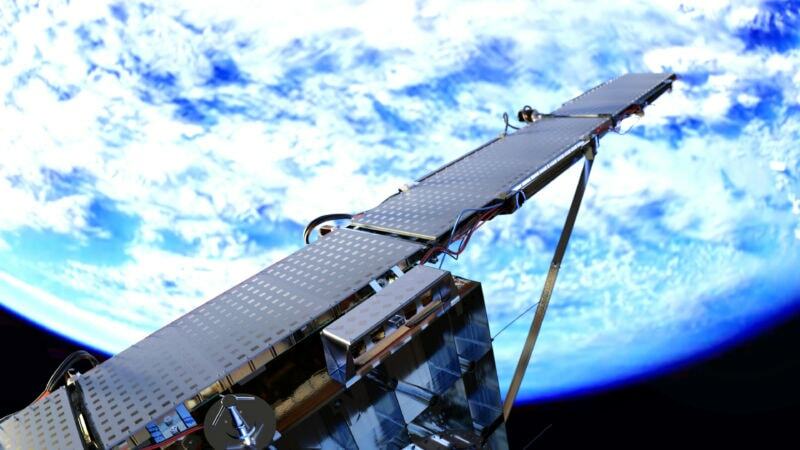 Finnish startup (and Space Angels portfolio company) ICEYE launched the world’s first commercial SAR-equipped microsatellite to orbit in January of this year. SAR technology enables ICEYE’s microsatellite to image the surface of the Earth even during periods of darkness or cloud cover and offers a handy alternative to RBG images during such times. There are also niche EO solutions, like WorldView’s high-altitude Stratollite sensors, which can provide additional remote sensing data and even high-definition video. We move on to the third link in our satellite data value chain: the “ground segment,” an undeniably crucial aspect of satellite operations. After all, we’ve got new, high-tech spacecraft traveling around the Earth collecting an unprecedented amount of data, and a booming launch services segment capable of delivering said craft to orbit. The ground segment, in turn, is responsible for receiving satellite data back on Earth where it can be used in terrestrial applications. Satellite ground operations are a well-established and have been in use by incumbent space companies and space agencies for decades. As a result there are many legacy antennas—both government- and commercially-owned—around the globe. These antennas, however, are generally very large, very expensive, and mechanically-steered (meaning lots of operational overhead). For government or corporate use, these antennas have been adequate. From a private space perspective, however, large mechanically-steered antennas represent too much capital expenditure up-front—the opposite of a lean, entrepreneurial approach. A solution to this problem has recently been developed: Satellite startups can now rely instead on what are called phased array antennas in order to bring their data down from orbit. Rather than the heavy mechanical steering mechanisms present in legacy antennas, phased array receivers work by electronically steering radio waves towards the desired direction—without changing the orientation of the receiver itself. Such phased array terminals offer a business model and price point far better-suited to the needs of small companies than legacy antennas. Space Angels counts several startups focused on the satellite ground segment among its portfolio companies, including Atlas, Analytical Space, and BridgeSat. Atlas’ Atlas Links™ solution is the world’s first mobile, rapidly-deployable, electronically-steered ground system, and Analytical Space and BridgeSat are each working to develop optical communications networks with laser downlink capabilities. The untapped potential of the EO data market. Launching a satellite, collecting data, and beaming that data down to Earth are all well and good—but what happens to said data once it reaches the surface of our planet? At the right-hand side of our infographic we find the fifth link in the satellite data value chain: insights and analytics. Data-driven insights hold untold potential for research and business applications, but have faced an inefficient and, at times, uncertain path forward. In theory, the data gathered by EO satellites can be used to generate specific, detailed insights into myriad industries—from monitoring the spread of infectious diseases and other public health concerns, to streamlining natural resource management, to identifying areas of interest for oil and gas companies, to tracking consumer spending habits. For businesses and other potential end-users, reliable, affordable access to such data—and more specifically, to expert analysis and insights gleaned from such data—would have a profound impact on the way business is done in this day and age. There are a few major hurdles faced by up-and-coming satellite data analytics companies, however, which are compounded by the increasing complexity of the entrepreneurial space industry and the satellite subsegment in particular. First to note would be the issue of access. A satellite analytics company must interface with both vendors (satellite operators and ground segment partners) and customers, which requires establishing and maintaining deep industry relationships. Another barrier is often a lack of purchasing power: Buying raw data from vendors can be expensive and complicated, especially for a startup analytics firm. What’s more, analytics companies are limited to the data collected by the on-orbit sensors owned by the vendors with whom they’ve already established connections. If the breadth of industry relationships is too small, it can result in biased data, a skewed perspective, and can limit the scope and value of the insights offered to the end customer. And speaking of that end customer: Many terrestrial industries which could benefit from satellite data insights are not yet aware that such solutions exist, or remain unconvinced that such insights are valuable and pertinent to their business goals. If an analytics company has a willing customer eager for insight, that’s great. If not, convincing and converting customers is yet another challenge to face—albeit a challenge which can be eased by a presenting specific, relevant satellite data in a timely manner (which, again, depends on a firm’s access and purchasing power). All of this boils down to an inefficient infrastructure and a high cost to entry—not to mention the potential for insights to be undervalued by customers. And that’s all aside from the meat-and-potatoes of what a startup analytics firm is trying to accomplish: Building an analytics engine for satellite data and deriving insights from that data. There has been an apparent disconnect between the satellite operators and ground stations and the analytics companies looking for data. Fortunately, the ever-evolving entrepreneurial space landscape has produced a solution to this persistent problem. SkyWatch and EarthCache: A solution to the entrepreneurial satellite industry’s data disconnect. The market for Earth-observation data and services is projected to be worth $16B by 2026, up from $3B in 2016. A key player in facilitating this massive growth will be SkyWatch, a startup based in Waterloo, Canada. SkyWatch’s unique product, a platform called EarthCache, is the missing link in the satellite data value chain. EarthCache is a commercial satellite data distribution platform—essentially, a catalogue or marketplace for raw data from a wide range of EO satellite constellations. By aggregating data from many sources into one platform and providing developers with APIs for each dataset, SkyWatch’s mission is to not only streamline the process of finding and purchasing satellite data, but also enable analytics companies and end users to easily incorporate data into their own applications. SkyWatch’s deep industry connections take the pressure of vendor relationship management off of startup analytics firms. What’s more, thanks to economies of scale, data is available through EarthCache at a lower price point than it would be if purchased directly from providers. Simply put, everybody wins—in SkyWatch, satellite operators have a ready-made distribution platform to reach many more customers, and analytics companies have a single-point resource for an enormous variety of Earth-observation and remote-sensing datasets. SkyWatch’s platform will enable the modern satellite industry to reach its full entrepreneurial potential. Despite today’s booming entrepreneurial satellite industry, and the vast commercial potential of EO-driven insights, the various components of the satellite data value chain have remained out of sync. We are generating an unprecedented amount of data that remains relatively inaccessible to would-be end customers. Considered from a different angle, the satellite providers themselves are actually having trouble finding an eager market for their raw data. This is likely because these customers (the businesses and industries which could be massively benefitting from satellite data-driven insights) are generally unaware or skeptical that EO analytics would have any impact on their daily operations. A solution has surfaced in the form of SkyWatch’s EarthCache platform—a satellite data distribution network which represents the missing link in the middle of the industry value chain. In the years ahead, we expect to see the true potential of Earth-observing satellite constellations and the real commercial value of derived insights emerge.